Ron Jude was born in Los Angeles and raised in rural Idaho. 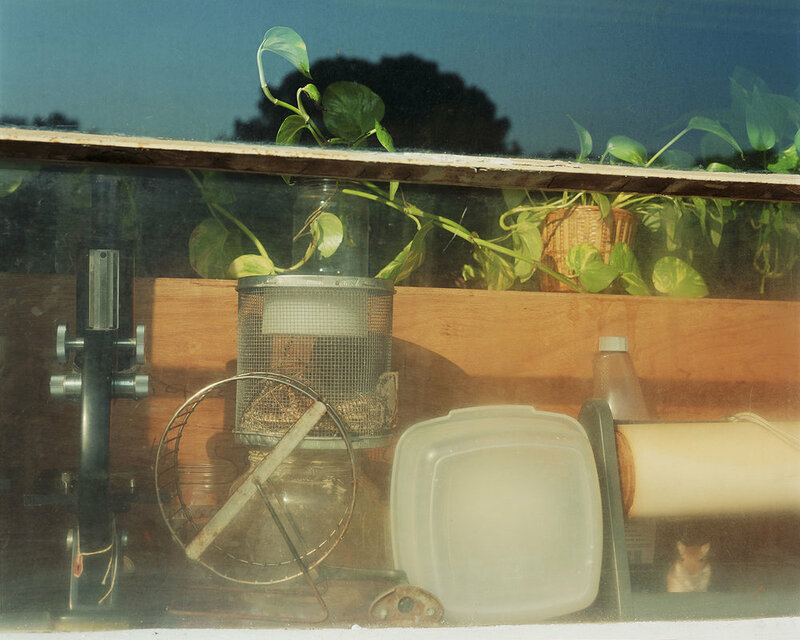 His photographs, which often explore the nexus between place, memory and narrative, have been exhibited widely since 1992. He is the author of ten books and has lectured extensively about his work at places such as The School of the Art Institute of Chicago, San Francisco Art Institute, and Fotomuseum Antwerp. 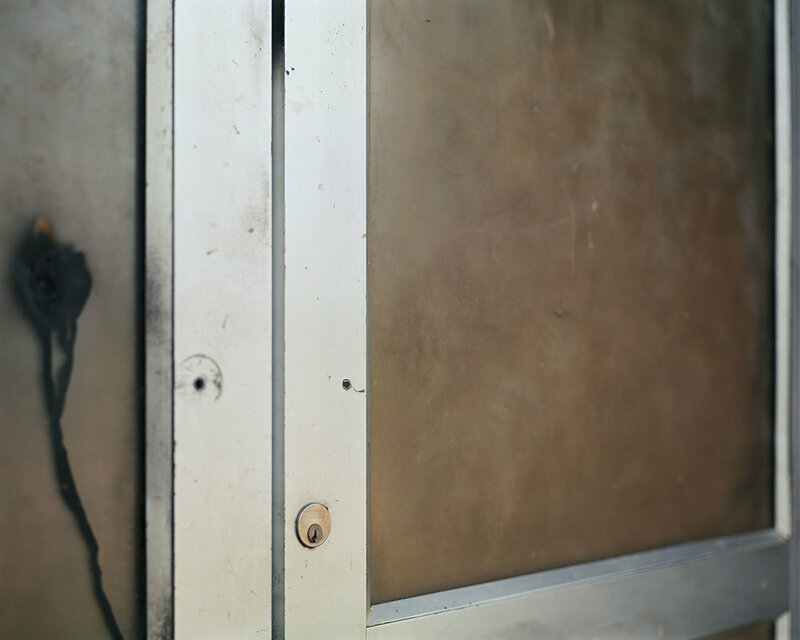 He is represented by Gallery Luisotti in Santa Monica and Robert Morat Galerie in Berlin. Jude is an associate professor at University of Oregon where he has been teaching photography in the School of Art + Design since 2015. He lives in Eugene with Danielle Mericle and their son Charley. 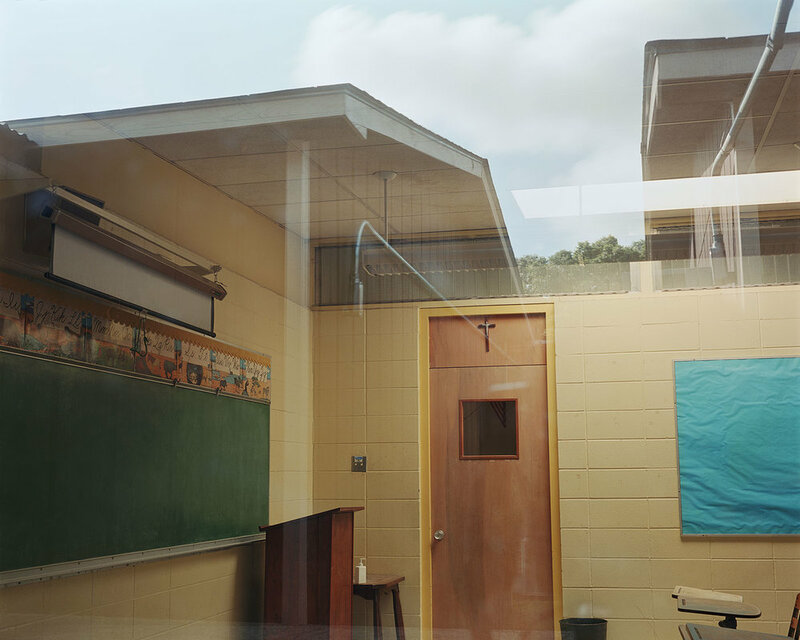 Nausea—taken from the title of Sartre’s 1938 existential novel—is a body of photographs that registers the interiors of public schools in Baton Rouge, Louisiana and Atlanta, Georgia from 1990-92. 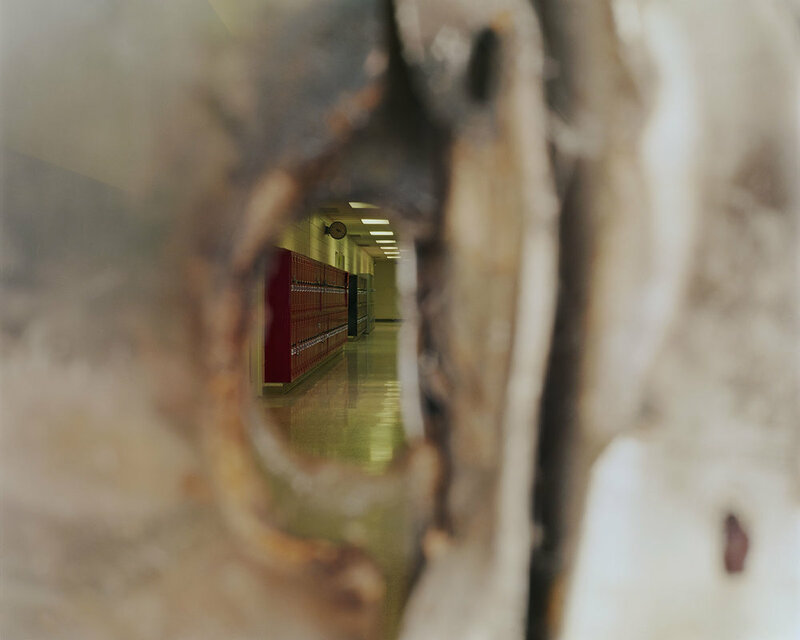 Departing from mere documentation, these photographs lure us into peering through windows, doorways and crevices of walls into empty classrooms and corridors, as we become increasingly conscious of the perils of our own gaze and the uncertainty of looking. 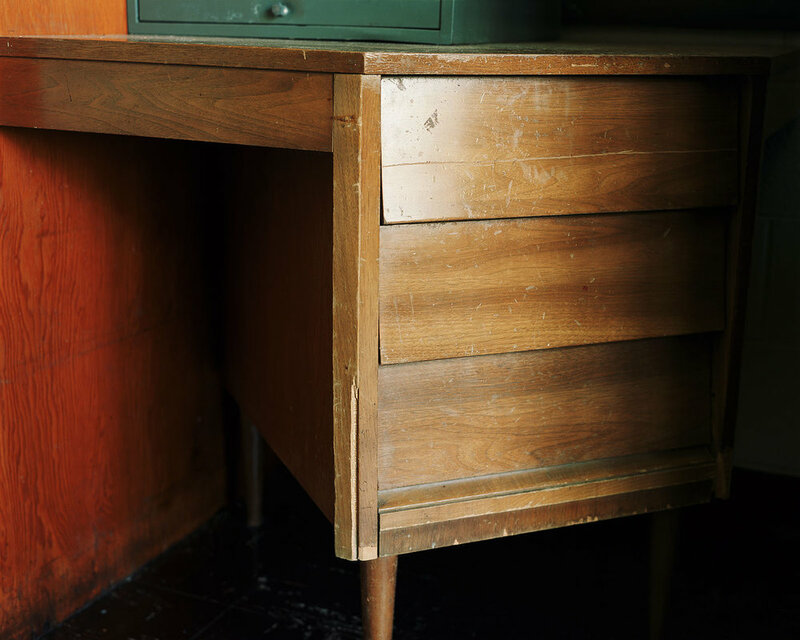 As I was working in relative isolation in the pre-internet American South, sources of inspiration for this work range from filmmaker David Lynch and musician Marc Ribot, to photographer Joachim Brohm and sculptor Gabriel Orozco. 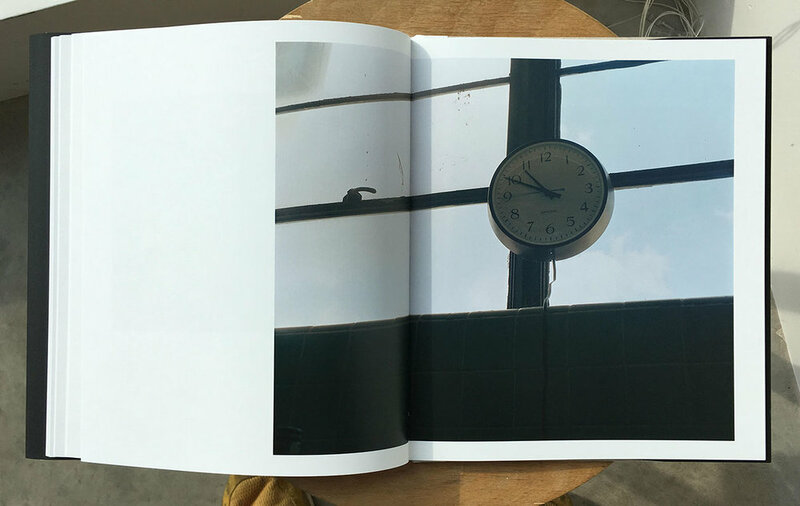 At the heart of Nausea lies the premise that philosophical inquiry might be filtered and consumed through photographs, just as it is filtered through Sartre’s work of literary fiction. 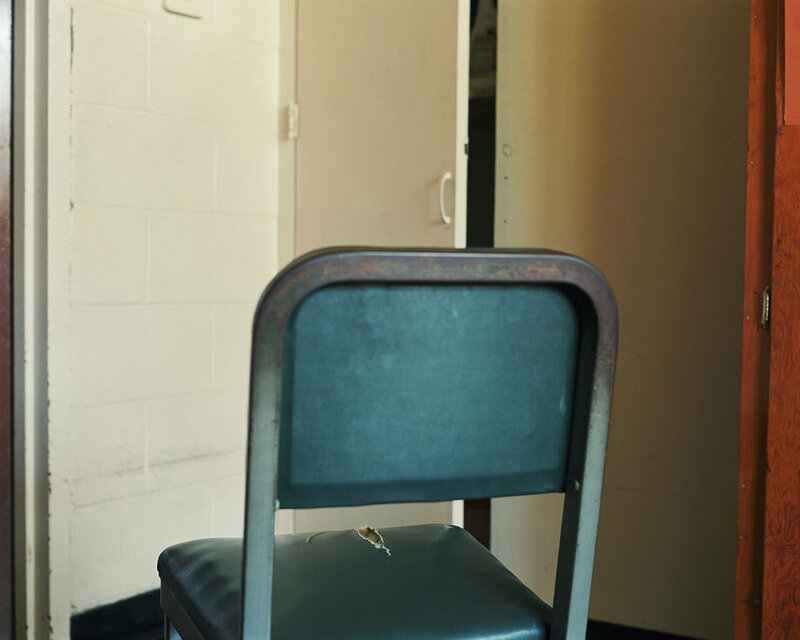 Taking as my subject the banality of institutional learning, the monotonous spaces and objects captured in Nausea serve as a platform for exploring the nexus between the narrative limitations of photography and consciousness. 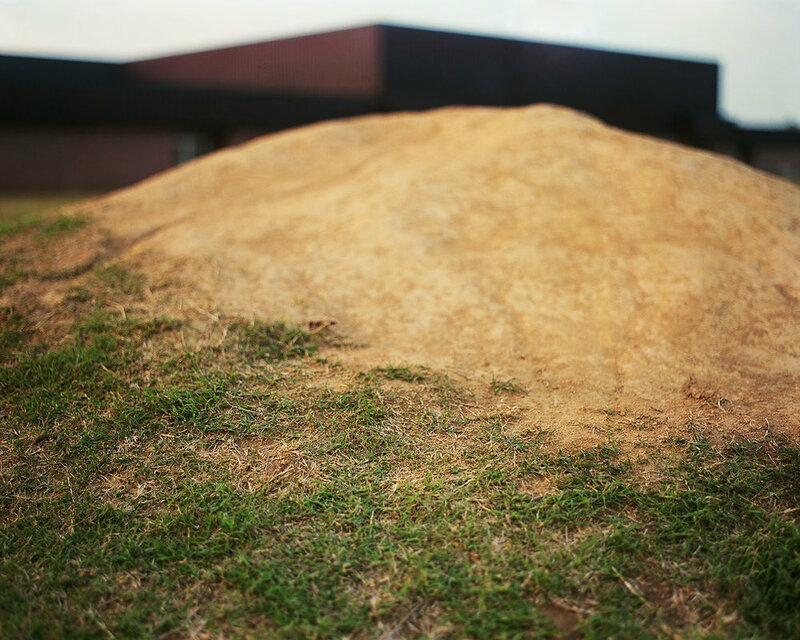 Employing a visual language, marked by muddy color, radical framing and shallow focus, I goal was to create a world both familiar and uncanny, imbued with a pervasive sense of unease. To mark the 25th anniversary of the inaugural exhibition of Nausea in 1992 at The Photographers’ Gallery in London, I have made an entirely new edit of this work. 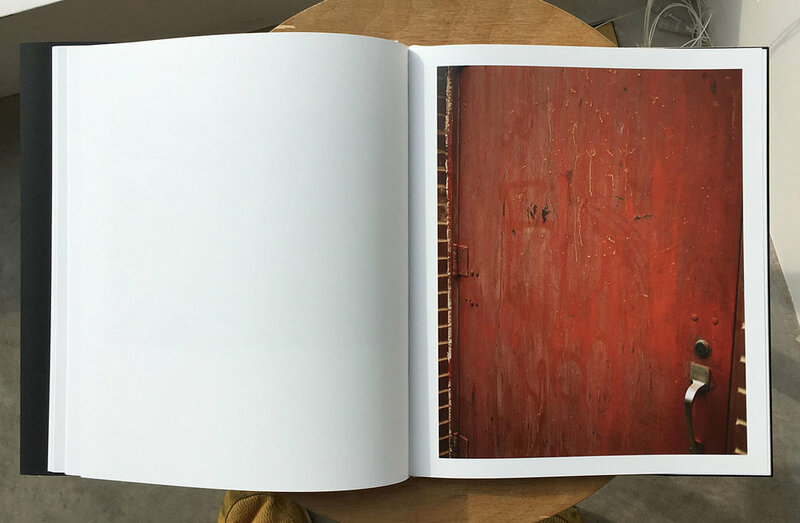 Many of the photographs in the recently published book have never before been published or exhibited. Why the University of Oregon? I’ve only been at University of Oregon for two years, but the strength that was immediately perceivable was the really smart, committed faculty that we have in the Art Department. This goes for the career instructors we have on staff as well as the full-time, tenure track faculty. Everybody works very hard for the students and the department, and they’re all serious artists doing top-notch, challenging work. This is really good news for our graduate students, due to the interdisciplinary nature of our program. We typically have a cohort of grad students who are focused on photography, but the entire faculty mentors them over the course of their three years in the program. 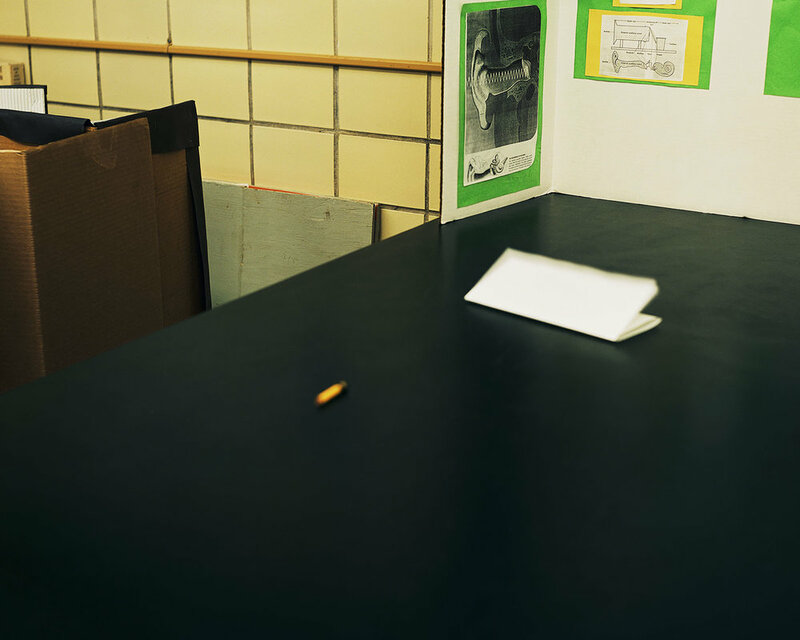 This isn’t always effective, but more often than not it lends unique perspectives to what the students are producing and helps them see possibilities outside the potentially narrow realm of photographic discourse. There is great potential for funding while pursuing an MFA at UO, as well as multiple opportunities for teaching throughout the three years of study. After spending a quarter of mentorship in the classroom with a full-time professor, graduate students students can then develop their own course syllabi and be the instructor of record in their own class. Typically, they will teach Introductory level courses, but this year, for instance, a graduate student who is particularly proficient with view cameras will be teaching our junior-level Large Format class. We currently offer a BFA degree that’s an add-on, fifth year of study. It functions a bit like a mini-MFA program in the sense that students have an area-specific cohort and are given studios and plenty of latitude in terms of the work they produce during that year. (This is the only area-specific degree we offer in the Art Department.) We are currently discussing the possibility folding the BFA into our 4-year degree program. I think this will add backbone to our undergraduate curriculum and something I’m very much in favor of. Our facilities range from very well appointed analog darkrooms (both gang and private), to a Flextight film scanner and large format inkjet printers, to a lighting studio. Basically anything you need to get the job done, we have available, including 4x5 view cameras for checkout. I always hesitate to oversell the program based on gear and facilities, however. Ultimately, the value of the program lies in being able to work with active, exhibiting and publishing artists who place as much value on helping you develop your ideas as they do on process. In terms of my interaction with graduate students, sometimes it’s in an official classroom setting and sometimes it’s as a studio mentor. I’ve twice taught a graduate level seminar course called Issues & Practices, and I’m set to teach the Grad Critique Colloquium this spring. These are interdisciplinary courses, so I might have a photographer or two in the class, but I’ll have just as many or more people working in other media. Additionally, each quarter our MFA students are assigned a primary mentor and two secondary mentors, each of whom they meet with regularly throughout the quarter. The line-up changes every quarter, insuring that our students hear from continuously diverse viewpoints. 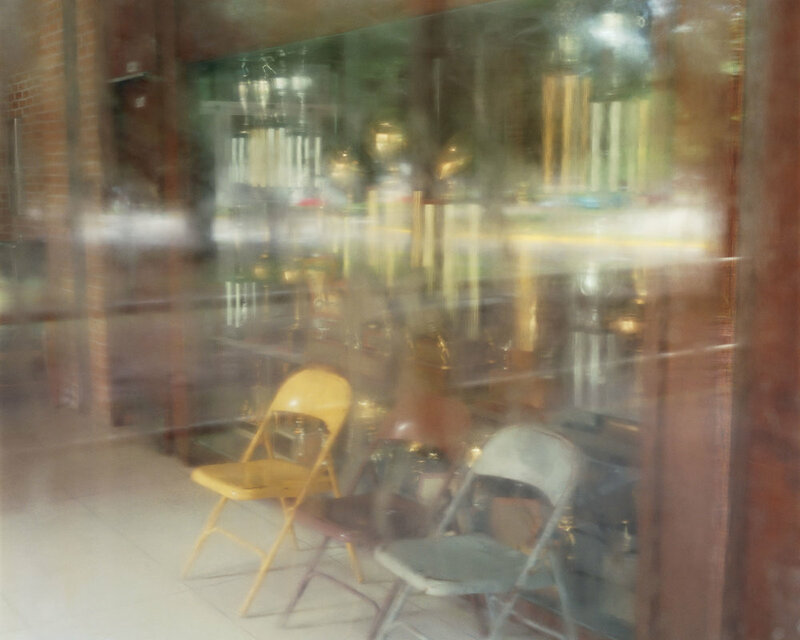 Beyond these formal interactions, I often visit the studios of the students working with photography and have informal conversations about what they’re doing. I actually find these interactions to be the most meaningful—the slow burn approach. Yes, prints and physical objects are the required outcome for courses at all levels. The very first assignment in Introduction to Photography is submitted digitally, but this assignment is technical in nature and we try to get it out of the way as soon as possible. From that point on, however, the students produce finely-tuned prints for each assignment or work-in-progress critique. We have fully equipped digital and analog output facilities, ranging from an 8x10 colorhead enlarger, to an Epson P8000 printer. This varies from class to class, professor to professor, but undergraduate critiques typically happen in class. The expectations are laid out clearly in the lower-division courses, which are usually assignment driven. 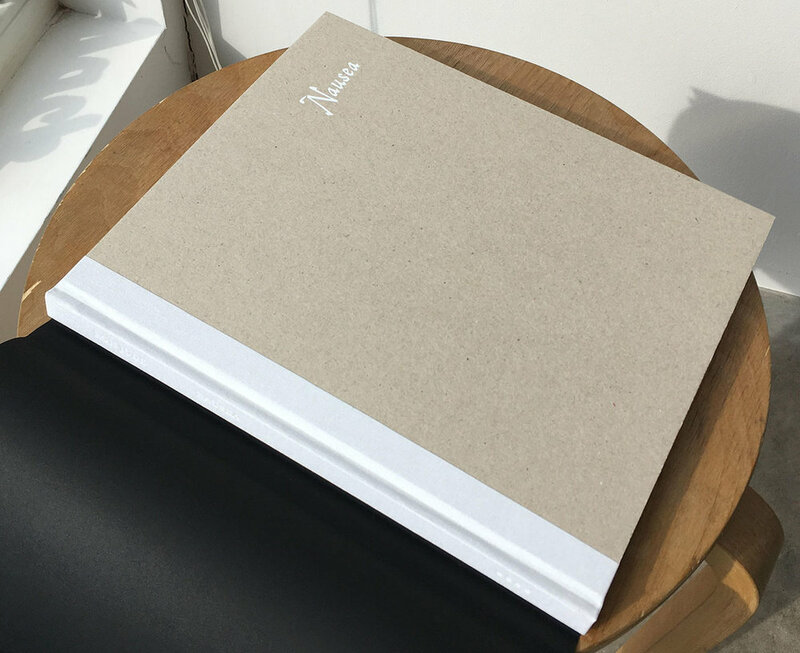 Once the students get to The Photobook or Advanced Photography, they’re working on longer-term projects that culminate in either a book or an exhibition. The critiques for these classes are work-in-progress critiques, where project development is at the heart of the discussion. We have a very robust visiting artist lecture series at University of Oregon. The artists who are invited to come for these lectures typically visit a relevant course. 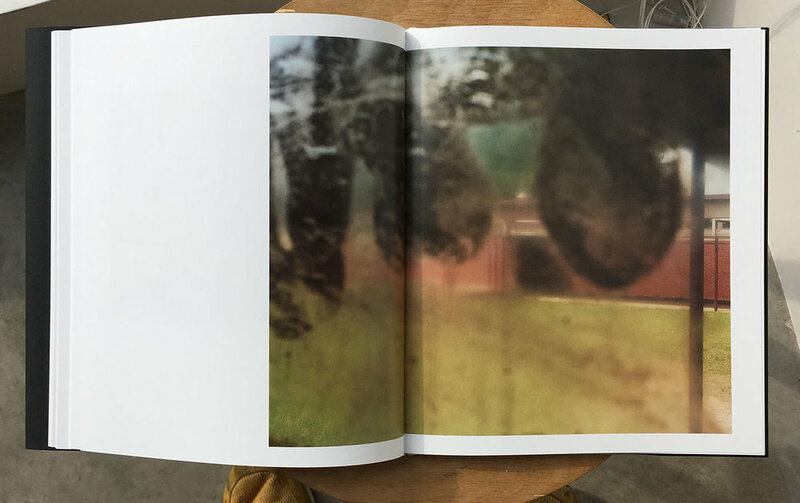 (For instance, John Divola visited Professor Dan Powell’s Conceptual Strategies course and Christian Patterson talked to my Photobook course.) These artists also do studio visits with our MFA students. In addition to these interactions, we often bring in artists for specific classes. Last year alone we had Anouk Kruithof, Justin James Reed, Dru Donovan, Eirik Johnson, Nicholas Muellner and Clayton Cotterell talk to our students. We also have a closed membership Facebook group called UO Photography. 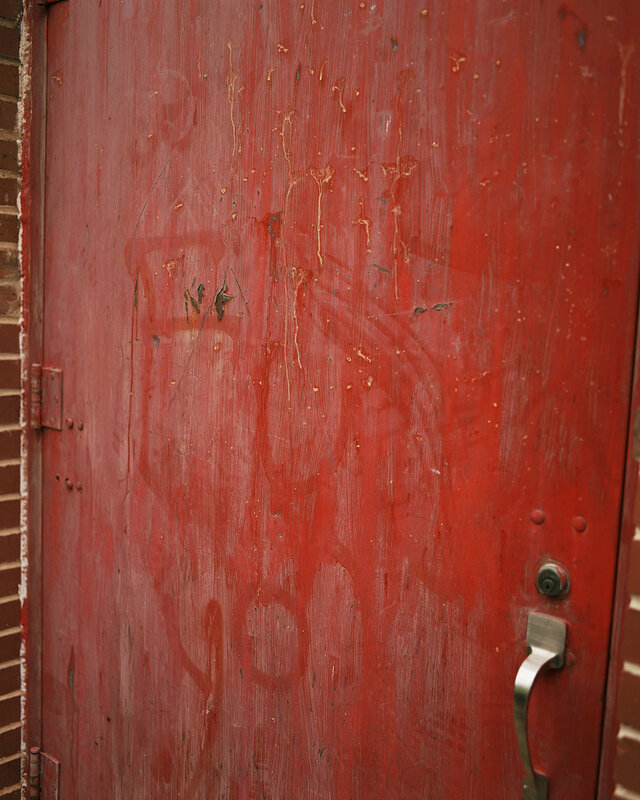 You have to ask to join, but we let anybody in. Image Text Ithaca is a terrific new graduate program. I’ve seen a lot of strong work come out of the Hartford Art School’s Photography MFA program and I have a former student currently pursuing her MFA at UT Austin and she has good things to say about that program. 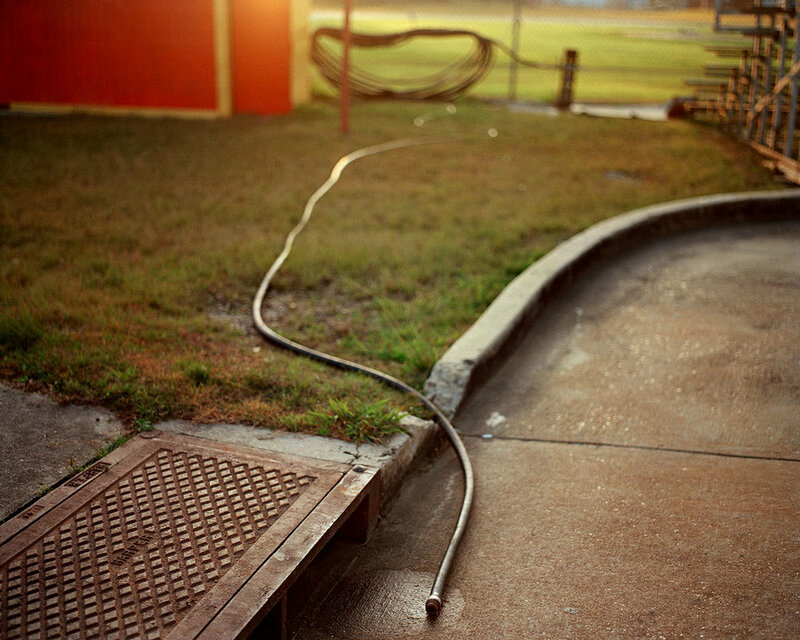 Outside of the US there is Joachim Brohm at Leipzig Academy, and Geert Goiris at the Royal academy of Art in Antwerp.